The Railway Recruitment Board (RRB) will declare the result of the Non Technical Popular Category (NTPC) recruitment examination’s result by the third or the fourth week of September, said a spokesperson from the Indian Railways. The Board has already released the answer keys and objection tracker. The last date to apply for objections is already over. The results will release only after the evaluation of the queries of the candidates. “As 56 lakh candidates appeared for the exam, we will take some time to process the result. It is therefore, not releasing on July 10,” said a senior spokesperson from the Railway Board. In December 2015, the Railway Recruitment Board released an advertisement (CEN 03/2015) for Non-Technical Popular Category (NTPC) jobs offering 18,252 posts. About 93 lakh candidates had applied for the vacancies out of which 56 lakh candidates were shortlisted for the online examination. The jobs offered are of commercial apprentice, clerks, goods guard, accountant, typists and so on. This recruitment examination was in news for various reasons. In May, the paper was allegedly leaked. Though, the Board denied the news. “These are online exams and therefore there are no chances of such malpractices. 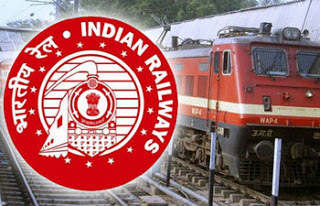 The RRB examination is conducted in 400 centres across India,” said the officer. The exam was also rescheduled in the eight centres due to reports on irregularities. “We got information on irregularities at six centres in Allahabad. Also, a centre in Dwarka has caught fire. Therefore we have rescheduled the exam in these places,” said the official adding the exam is cancelled at one centre in Pune too.